There was no reason to set the alarm last night. There is no reason to rush out the door (although we do have a bbq to get to later today but still relaxing). It's sunny outside. Doors & windows open. A/C off, fan on. I'm loving it! Especially because... I moved! I'm in my new townhouse that is filled all day with natural light & a private balcony that allows me to open the door all day so the doggies can go in & out as they please. And the best part... I have an art room now!!! A room to leave my camera equipment open & ready at all times. A room that allows me take food shots using natural light!! I was without this for a whole year at my old apartment & it was tough. I'm excited to have my own work room to practice, practice, practice, practice. It's also been nice enjoying Austin with him & I'm excited for our summer adventures to come. My Sterling bear turned one last Saturday! I had plans for making him some homemade bday treats but I decided to hold off until I find some grain free recipes to experiment with. He's got some allergies to deal with. Such a pretty ingredient. You don't need very much of it to add that subtle hint to any cake or cupcake recipe. In fact, overusing it will make whatever your eating taste like potpourri. So just stick to the teaspoon or so & you'll be safe. The key is to start with a little and add a little more as you go. Fresh v. dry? 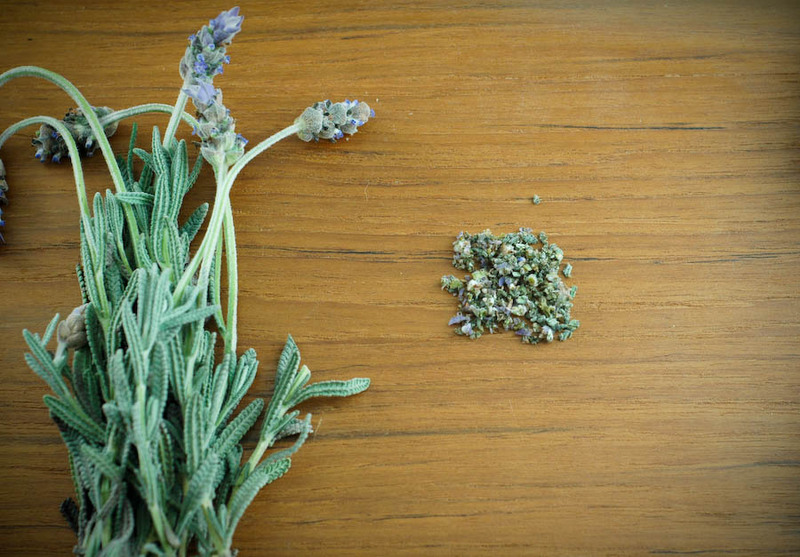 Honestly, I've only used fresh but I would assume it's like other dried herbs. If your using dry, expect more potent flavors & adjust accordingly. 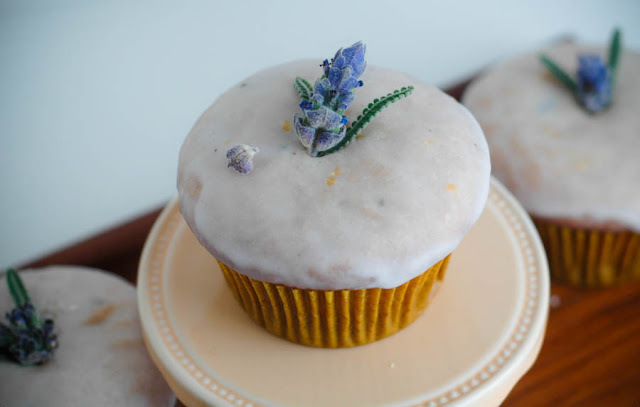 One great use for lavender (which I will be using my leftovers from the cupcakes to do) is to leave some in sugar in a tightly sealed container or bag for a couple of weeks. TA-DA! 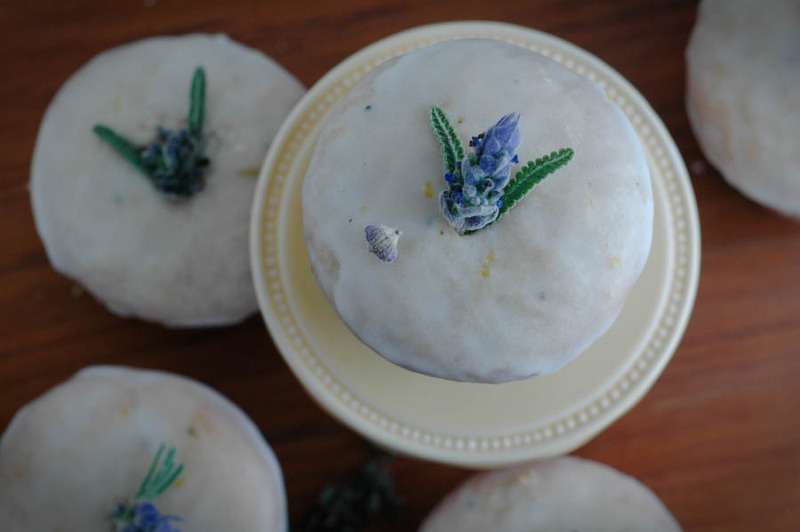 You've got lavender sugar! These cupcakes were for a bridal shower I attended last night. I did have some difficulty with the first batch since it was my first time to bake in my new oven & I had to make adjustments to the baking time & temp., but they came out fantastic! 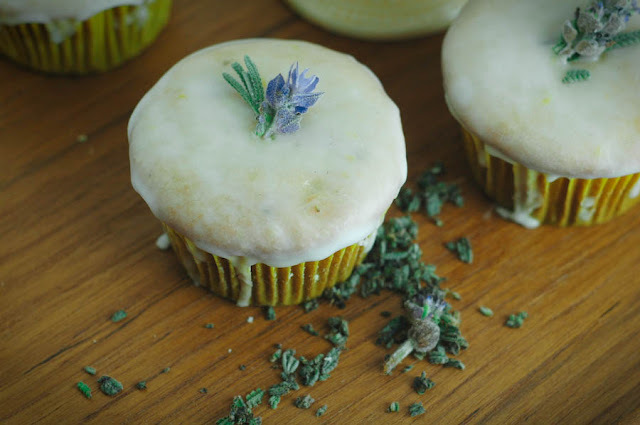 The lemon glaze was the perfect compliment to the light lavender cupcakes beneath. The ladies loved them & Billy was happy for the overcooked first batch...he made sure not to let them go to waste! Preheat oven to 325. I originally started with 350 but reduced the temperature to 325 on the second batch. Sift the flour & baking powder together in a small bowl and set aside. Beat the sugar & butter together in a large mixing bowl until light and fluffy. At least a good 7-10 minutes. Add the eggs one at a time until well mixed. Then add the vanilla & lavender. Alternate adding in the flour mixture & milk starting and ending with the flour mix only mixing until incorporated. Distribute evenly among cupcake wrappers & bake for about 15-20 minutes.